Forums! Changes to Comments, Oh My! In my ever growing effort to connect with the mostly silent visitors to my site, I have decided to continue the evolution of my site and have made two major changes to make it easier to submit your opinions on this site, and to try to cultivate a sense of community here. This site, despite the obvious branding, is not just about me marketing my writing. Sure, that is here, but I also share alot of stuff that falls well outside of the realm of my attempts to build a successful writing career. I try to have a lot of fun with various projects, and get alot of feedback from friends on facebook and in person regarding the projects I post. The comments section of this site has never really set the house on fire. I've thought about ways to encourage more participation, and I've come to the conclusion that begging and pleading are not going to get it done. I needed to make the process easier, less of a hassle if I want more people to leave comments, start flame wars, and in general participate more openly on this site. So, I have made two changes in an attempt to encourage more interaction. First, I've removed all need to sign in to any account (Google, etc), sign in on this site, or any requirement for any identification whatsoever. Might I get nasty messages now that people can do it anonymously? I think that would be awesome. I have no problem with hecklers and people who disagree with what I say, that's what makes this country (and even moreso, the internet) great. 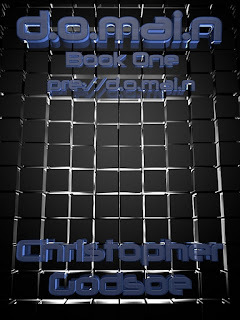 Secondly, I have created a christophergodsoe.com forum, with the entrance link on the right side of this page. The forum is specifically for this site (Not shared amongst other pages, social networks, or third world countries), which means that at this moment you can enter any of it's rooms, empty an entire clip from a submachine gun while spinning around wildly, and most likely never hit another soul. Of course, I hope that in time that will change, but baby steps, right? The image to the left of these words correlates to one on the right-most column. Click on it and you will be effortlessly shuttled over to the new forum. So, as I am always looking to improve this site, I am more likely than not going to continue to make refinements/changes. If you have anything to add, or something that you would like to see, please feel free to comment in the forum, on this blog post, or email me at maetrixss@gmail.com. Thanks again for checking out my site, I have alot of interesting stuff in the pipeline, so check back often! I seem to know a lot of writers. Keeping up with their stuff is a full time job. Hence, the reason for just giving up and commenting only when I actually have the time to read:p Besides if I commented on here, then what would we have to talk about in person? And you're right...having to log in to be able to comment is kinda a PIA. Exactly why I felt the need to lower the barriers to commenting. If people have to go through authentication, it is just several more chances for them to say, "It ain't worth it", and moving on, lol.